If they know what they're doing they'll keep it separate/keep the X-T line lean and mean for stills shooters. That said, so many people are crapping their pants over this and flippy flappy vanity screens, they'll probably eventually cave. 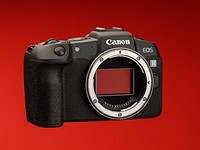 Then we'll have the same features on every model and you'll have your choice if 10 different versions of the same camera. Yeah those people only think about them selfs. Every camera has to be great for vlogging (even if it's 1.4gb fullframe beast) and it need to have that stupid screen. When you say "no thanks" does that mean that you're thinking of yourself? No. There are many cameras that have articulating screen but those people are saying that should be the only type of screen on the market. I like Tony and Chelsea but they make vlogging such a big thing in their reivew like every person today is vlogging with 1kg+ camera setup so every camera has to be perfect for it from tiny compact to heavy full frame camera. He is talking about new Panasonic Fullframe mirrorless that " could have been real 4k vlogging camera" and IMO those cameras look huge. Why would you vlogg with those ? Who cares. IBIS is not the be all end all! That is correct. I have the XT-3 waiting at home. But I will never shoot it because it does not have IBIS. Are you guys following the logic here? Hmm, so lets go over the “logic” together. You bought an X-T3 full well knowing it didn’t have IBIS, thus planning to use it as a doorstop, perhaps? So, no, the logic is completely escaping me. Perhaps you can explain further. Well, if the focus of the museum will be on camera equipment, I can imagine a better donor to get their collection started. It could be one of the few places in existence that have a display of just about every lens that Fuji makes (except that lost 10-24 of course). It' a pitty that DPR didn't exist when AF has been invented. I'm sure that so many people argued : I (me, myself) can very well focus by myself, so please don't provide AF to anybody, even if I could disable it ! That's what I have been thinking too. It would have been the same discussion: Not necessary when you have good technique, too heavy and so on. You can apply that logic to just about every advance in camera technology throughout the history of photography. Hehe yes sure. But i do think its also a little different now a days. Because technology advance so much faster in general around us, that We are so much worse when it comes to patience about how We expect things to be and are almost dependent on these crutches around us to live our daily life. So when something does not exist at this stage and also expect it, not only do We get angry and surprised when it does not instead of trying to accept it and work around it, We are also worse when it comes to find those other solutions or trying to get better by training to lessen those shortcomings from Said technology. did camera bodies came out with a new model this freequently? It seems to me also that going from no Af to getting it is a pretty major advancement while i feel IBIS is not that big of a deal, at least not for me. I just bought the X-T100 and I decided that my future Fuji body, whenever it comes (for me) will have IBIS. I wonder if Fuji will put IBIS in the X-T4 or IBIS will used exclusively in the X-H bodies. What do you say? I can see why some people want it But at the same time Im as always a bit surprised about how many people suddenly can not be without a new feature and suddenly deem gear without Said new feature worthless or at least something they would not even buy , regardless of it being a great camera in every other aspects . When the X series launched, with a big emphasis on primes, none of which were stabilised, the lack of IBIS stood out. It has been a discussion point ever since. Fuji made a bad first choice. Personally, I only own stabilised zooms and don't have much interest in primes, which is why I was willing to buy into the system. But I think IBIS deals with a design flaw that was there from the beginning, so the demand for it doesn't surprise me at all. Interesting thought, it could happen. Agreed. There may be a point in the future when it will be even cheaper to put IBIS into all cameras rather than having different assemblies for different cameras. In any case, I think soon there will be a point when IBIS will just be standard in all mainstream cameras and if you want to sell high quantities you need it as much as autofocus just to be competitive. The X-H series is a weird beast anyway. It has IBIS but in all other areas the X-T3 is superior. It's not a real flagship camera. Nope, I don't see the X-T ever having it. It's pretty much the only marketable difference between the X-T and the X-H. I'm also really not sure why people want it so badly. It means that everything is absolutely needed and photographers can not do anything without all possible existing gadgets. It will be very easy to buy a new camera in the future - there will be no different models available. Just one that fills all possible needs. Or perhaps three models - one is black, one is white and the third is silver. Also pink and yellow are available. I started SLR photography in 1968, first DSLR was Canon 40D in 2007. Now Fujifilm X-E3 and the new 80D are my favourites - also 6D for landscapes and some portraits. You have some points right. Technology usually commoditizes features that have been around for a while and then new gadgets with totally new capabilities come up. So I bet in a few years most cameras will have all the features you have described but then there will be new features that some cameras will have and some others won't. I am completely neutral here, I am interested in your observation though, in all other areas the x-t3 is superior? Can you elaborate? Panasonic and Olympus have some rather small bodies with IBIS. But they have also miniaturized the sensors . And they are not that small. Sony makes FF bodies with IBIS - who uses APS-C and IBIS in a tiny camera body like X-E3 ? It is not that easy - or is it? It has a new processor, video is better. Where does the X-H1 have an edge besides IBIS and size? Pentax and Sony have IBIS APS-C bodies. The A6500 is quite small. You forgot Rose Gold. That's a MUST have these days!!!! 14 Removing the D pad on X-T30 a good or bad idea? 13 Sandisk 170MB/s, anyone tried? 8 Few questions for X-T20 - Ergonomics , AF area selection.